UC Davis alumnus Austin Sendek (B.S. 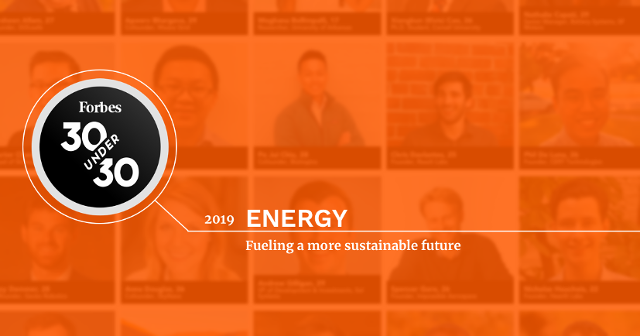 physics, 2012) was named by Forbes in the 2019 elite list of top 30 individuals under 30 making an impact in the field of energy. As an undergraduate student at UC Davis, Austin Sendek worked with Professor Gergely Zimanyi on solar cell studies, and with Professor Daniel Cox on biophysics issues. He went on to Stanford where he earned a PhD before starting his own company, AIONICS. As written by Forbes, "Austin Sendek is dedicated to replicating in battery technology the same exponential advances that have been seen in microchips. He's developed a machine learning platform that helps battery manufacturers accelerate the process of materials design and development."